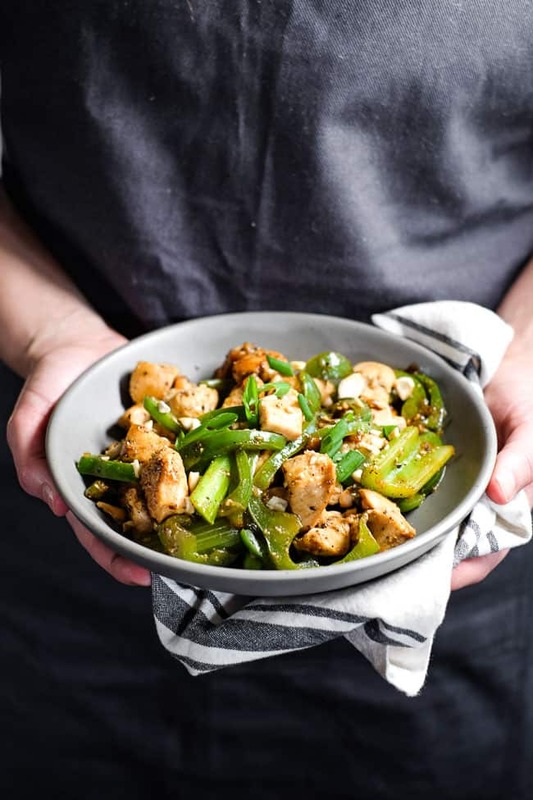 We’ve got another Asian-inspired recipe for you today! 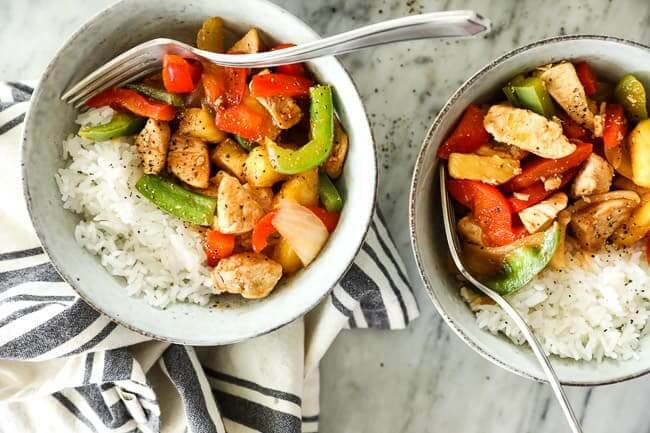 This is our remake of a healthy sweet and sour chicken. 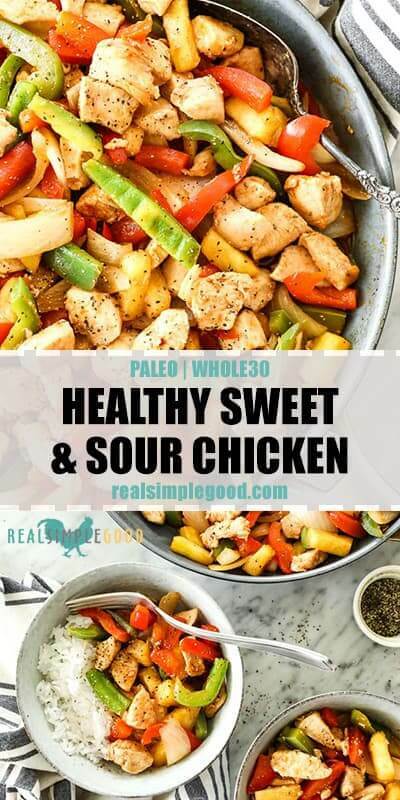 It’s a quick and easy dinner that’s Paleo + Whole30! You will love this simple, family-friendly meal. Typically a sweet and sour sauce is sugar laden. Instead, we’ve made this sauce without any added sugar. It is sweetened with fresh squeezed orange juice, and then the recipe also has fresh pineapple in it which adds some natural sweetness. It’s the perfect combo of savory and sweet that you can feel good about feeding your whole family! 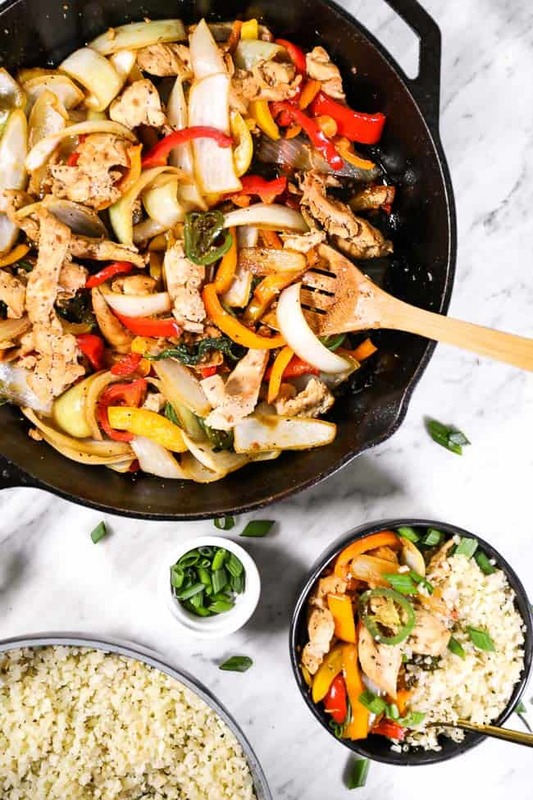 We love it when healthier really also means easier! 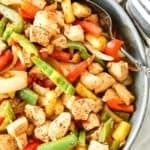 This healthy sweet and sour chicken is also really easy to make and comes together in about 30 minutes. Once you prep the chicken and get it cooking on the stove, prep the rest of your veggies and pineapple and then put it all together. 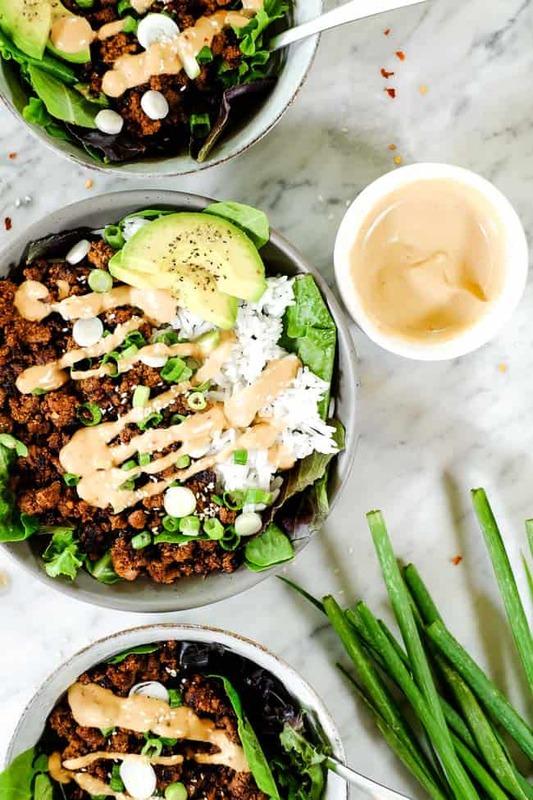 Who doesn’t love a meal that hits the spot like takeout and is a breeze to make?! Am I right?! 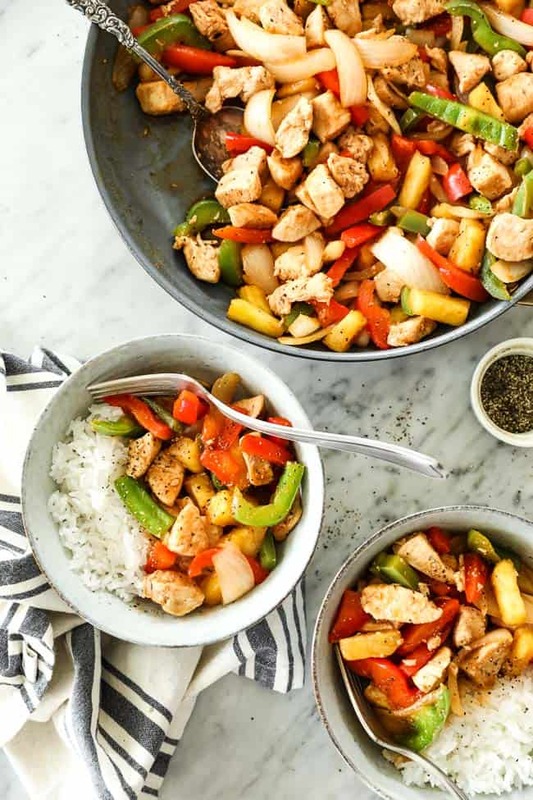 You can make this healthy sweet and sour chicken a complete meal as is or you can add a side of cauliflower or white rice to it like we did. 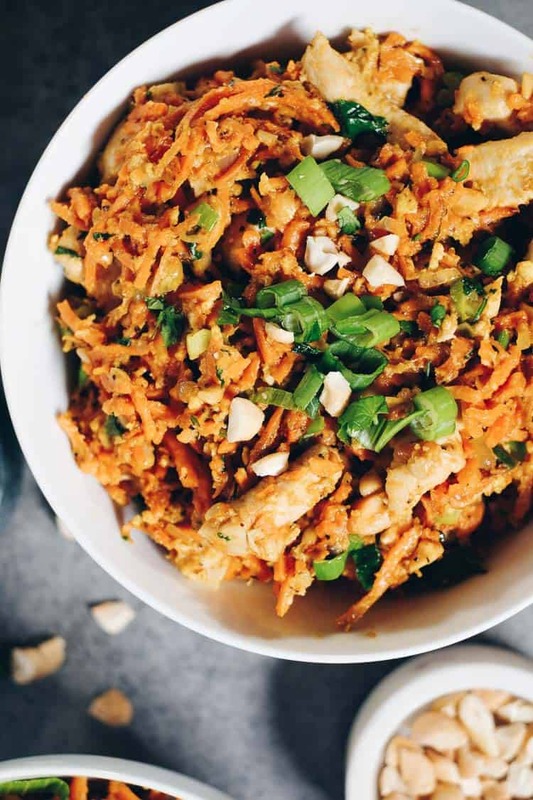 Make sure to stick with cauliflower rice to keep it Whole30 if that is your aim. It’s also quite satisfying as is – there is a combo of veggies, textures and flavors that make it feel satisfying! 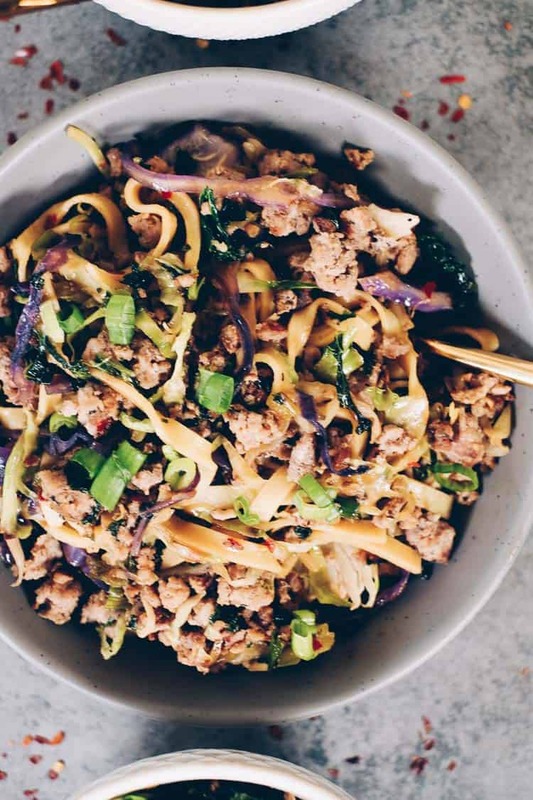 Craving a little takeout or just want a quick and easy dinner? 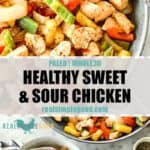 Make this healthy sweet and sour chicken! The whole family will enjoy this easy recipe! Leave a comment below and let us know how it goes. Also, take a pic to share on Instagram. Tag us @realsimplegood so we can see and maybe even share in our IG Stories. Give us a follow if you don’t already, too. We’d love to stay connected! 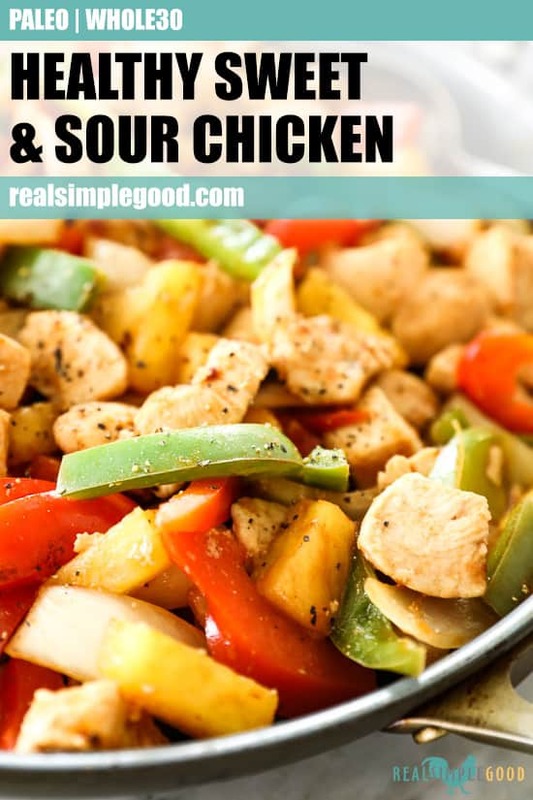 This is our remake of a Healthy Sweet and Sour Chicken. 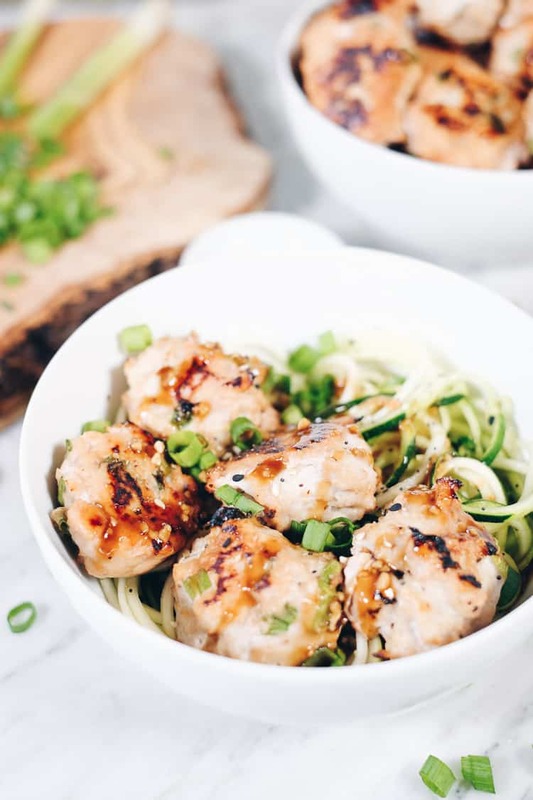 It’s a quick + easy 30 minute Asian-inspired dinner that’s Paleo + Whole30 and the whole family will love it! Whisk all of the sauce ingredients together in a small bowl or jar. Set aside. 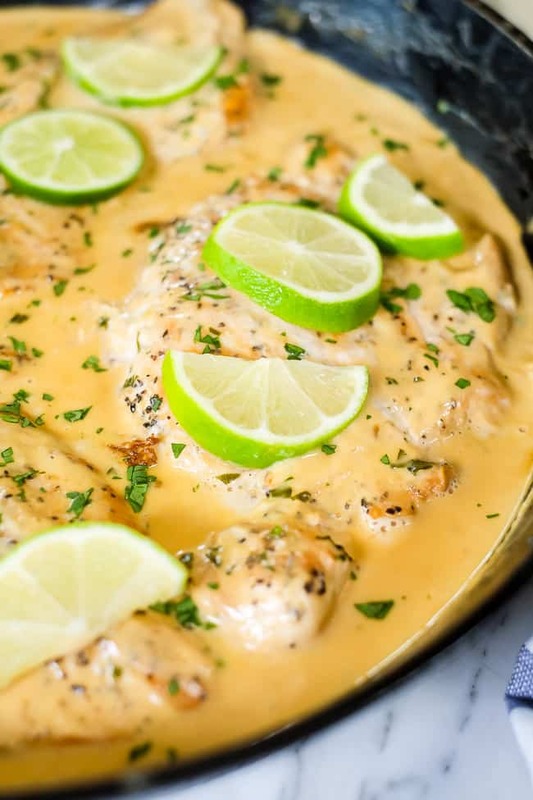 Cut chicken into bite sized pieces, and heat a large skillet or wok over medium-high heat and add oil. 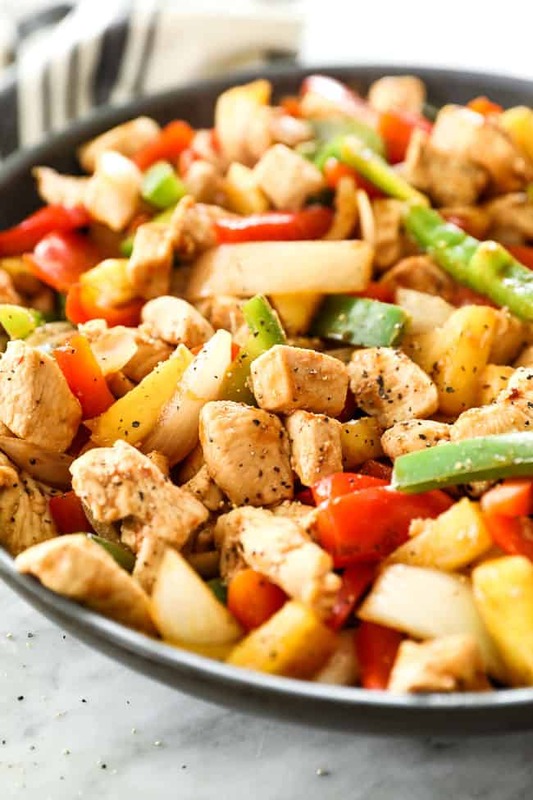 Once hot, add chicken to pan, season with generous pinches of salt and pepper and cook stirring occasionally until chicken is cooked through, about 7-9 minutes. Remove from pan and set aside on a plate once done. While chicken is cooking, chop bell pepper, onion and pineapple as noted. 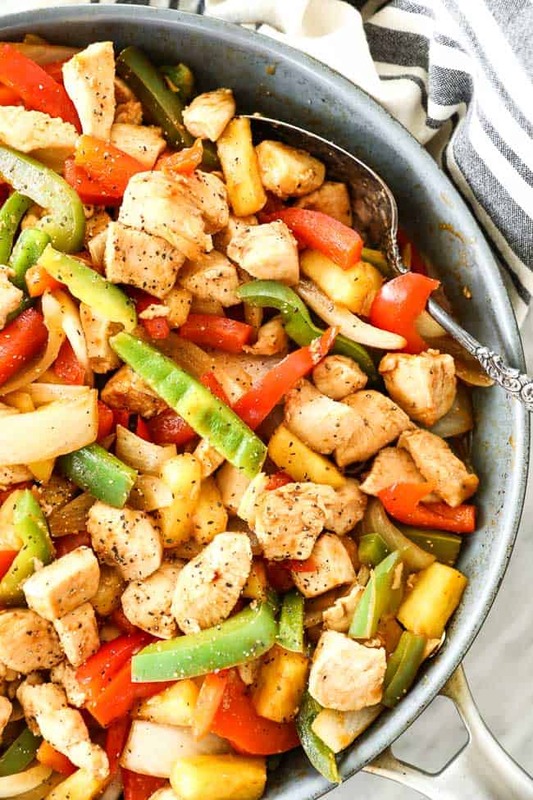 When chicken is done, add more oil to pan if needed and add veggies and pineapple to pan to cook until softened, about 5-6 minutes. Add sauce and chicken back into skillet and continue to cook, stirring often until sauce thickens up, about 2-3 minutes. 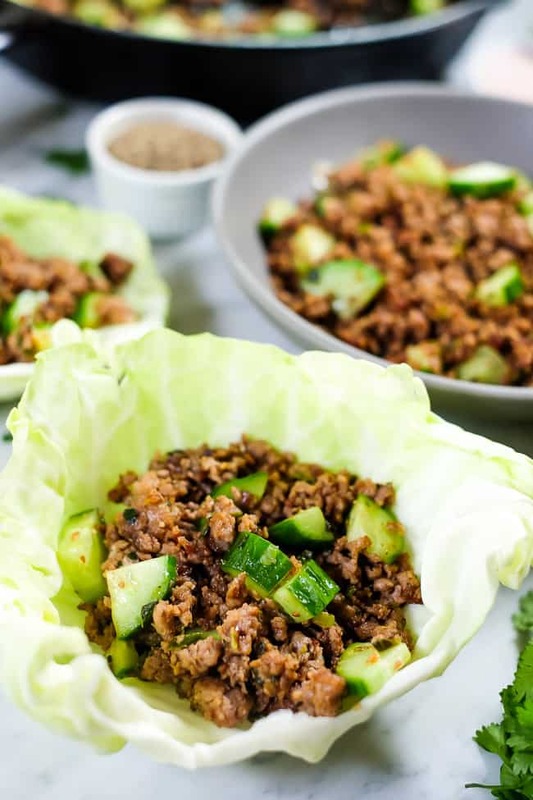 Serve over rice or cauliflower rice for Whole30, in a lettuce wrap or over greens. Enjoy!